Back2Basics understands the importance of Brand Development, and all the moving parts affecting the brand’s ability to reach and resonate with its target audience. Sometimes, it’s just time to make a little change in an effort to help clarify a brand’s message and goals. Our little business is no exception to this strategic change in its journey, nor are we immune to the growing pains through the journey. When it comes to our business, like so many others, we are so busy working on our clients’ goals that we often neglect our own homes. But, this will all change in 2018. We’re starting with the development of our new logo with special release to some of our social media communities. Our next goal is retooling the website with the new logo and a refreshed layout and message that we hope will make it more easy for consumers to digest the vast amount of information we currently provide. 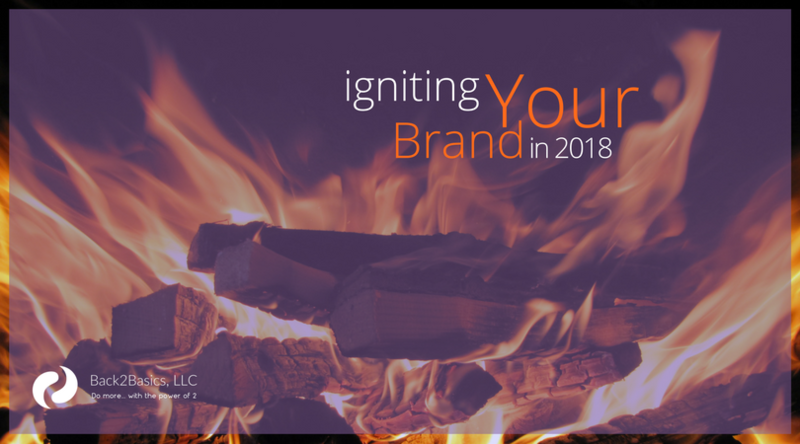 Whether you’re looking to learn more about our brand solutions, follow our insight on some of the latest industry news, our turn to our tips & best practice information to help you with your self-motivated initiatives… we love to provide our fans information, but we also understand the need for reorganization so you don’t feel overwhelmed or more confused. We’ll be breaking these solutions down into buckets of information that should make your journey and goals on our site more effective and proficient. Our mission hasn’t changed… Our fearless leader; president, Tanya Troska believes in our focus of consumer education and transparency. We believe small business owners and non-profit managers are able to make better strategic decisions about a brand’s marketing goals when they better understand the nature of vast number of services and levels of service found in the digital marketing industry today. We also truly believe a partnership with Back2Basics better positions small businesses to get more done. We just have to do a better job setting up expectations and helping you digest the information available… that will lead us to “phase two” for 2018, but more about that later. For right now, just know when you start seeing some of these little changes happening in our social media profiles, email communications, transaction controlled assets, or our website… you know the change is not only legitimate and expected, but what the purpose behind it all is — the purpose is YOU! We’re glad you’re on the journey with us and we look forward to tackling 2018 together. You CAN do MORE with the POWER of 2 when you get back to the basics. Betty Rose Blogger is the official mascot of the Back2Basics Blogging & Content Team. Born October 2015, Betty has a hyper lifespan with the over 45 years of collective knowledge and experience. Betty loves to write and bring her readers tips and information useful to their businesses, and she looks forward to your feedback and suggestions for future articles.